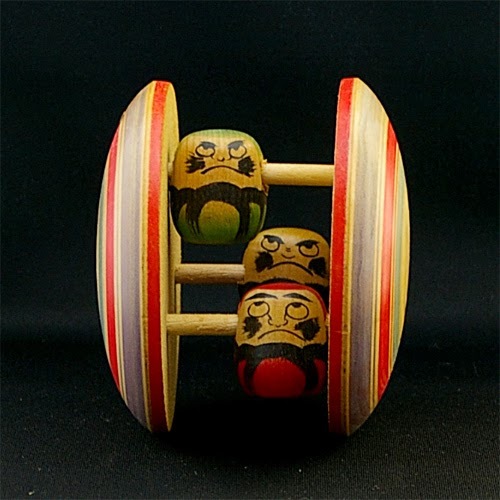 Three Daruma in green, red and white on the spokes of the wheel. 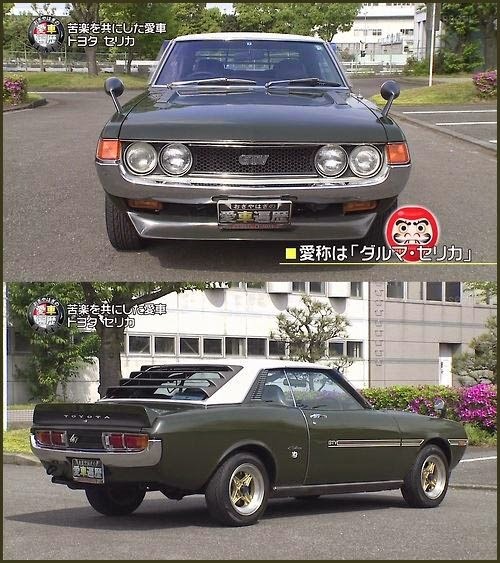 wariguruma 割り車 in some local dialects. 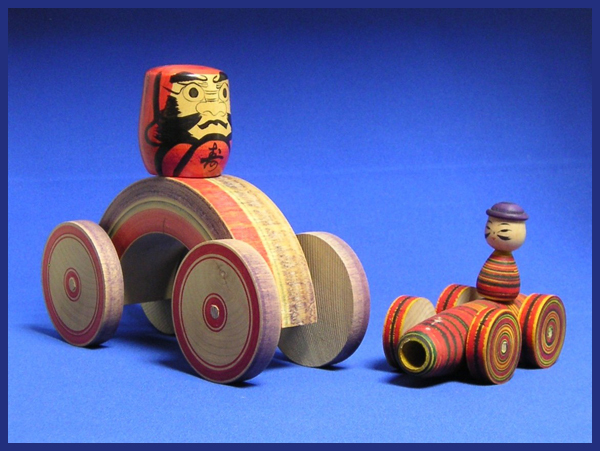 Daruma and taihooguruma 大砲車 a man on a cannon car (7 cm high).
. kuruma gangu 車玩具 toys on wheels of the Edo period .